MANILA, Philippines — In a move likely to irk China, the new U.S. commander of the Pacific Fleet joined a seven-hour surveillance flight over the disputed South China Sea over the weekend on board one of America's newest spy planes. Territorial disputes involving China, the Philippines and several others have flared on and off for years, creating fears that the South China Sea could spark Asia's next major armed conflict. Beijing has asked the United States to stay out of what it says is a purely Asian dispute, but Washington has said that ensuring freedom of navigation in the disputed waters and the peaceful resolution of the conflicts are in the U.S. national interest. 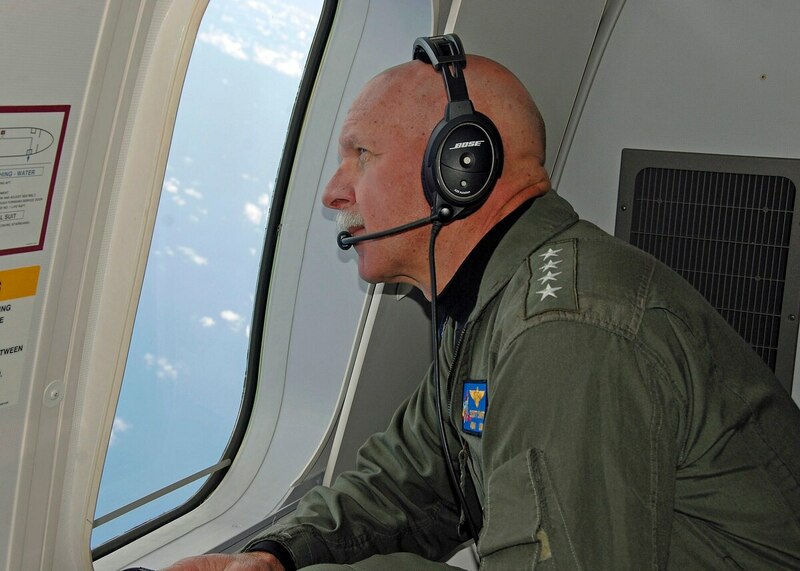 The Chinese Embassy in Manila had no immediate reaction to the Pacific Fleet commander taking part in the surveillance flight. The Navy has acquired and plans to purchase more of the versatile P-8A Poseidon aircraft to replace its aging P-3 Orion fleet. The plane can be used for a range of undertakings, including anti-submarine warfare, and surveillance and reconnaissance missions. A picture posted by the Pacific Fleet in its website shows Swift intently looking on as U.S. officers demonstrate the P-8A's capabilities. In another, Swift, wearing headphones with a microphone, looks out the window at the blue sky over the South China Sea. Brown did not provide other details on the flight, like whether the plane flew over disputed areas where China has undertaken massive island-building that Washington has asked Beijing to stop. In May, a U.S. Navy P-8A was shooed away by radio callers, who identified themselves as being from the Chinese navy, when the surveillance aircraft flew over a disputed area where China has been undertaking island-building works. A CNN reporter who was on board the plane, which had taken off from the Philippines, reported the incident. Philippine Defense Secretary Voltaire Gazmin welcomed Swift's move, saying it showed America's commitment to come to the aid of allies locked in territorial disputes with China. In an interview with reporters in Manila on Friday, Swift assured U.S. allies that American forces are well-equipped and ready to respond to any contingency in the South China Sea. Swift said he was "very satisfied with the resources that I have available to me as the Pacific Fleet commander," adding, "we are ready and prepared to respond to any contingency that the president may suggest would be necessary." The U.S., Swift stressed, doesn't take sides in the territorial rifts but would press ahead with operations to ensure freedom of navigation in disputed waters and elsewhere. "The United States has been very clear that it does not support the use of coercion and force," he said.